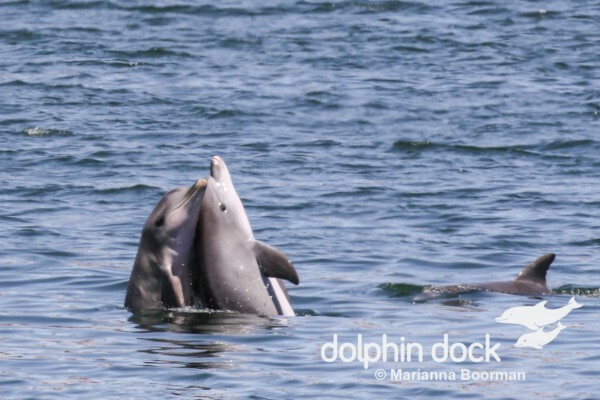 What a great way to start the year – A new baby at Outer Harbor, lots of action and play from our residents and most exciting of all we have a New tail walker! 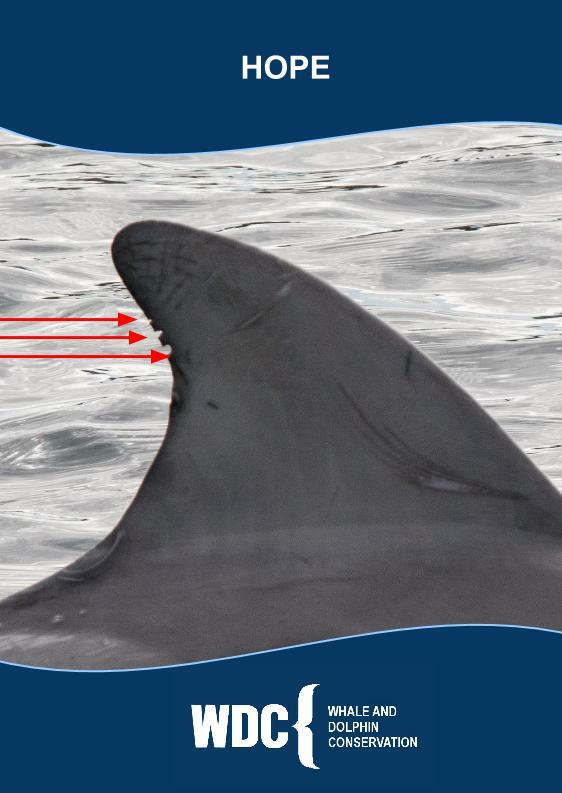 The Port River Dolphins are very unique and continue to amaze us. Resident dolphin, Oriana has joined the elite wild Dolphin tail walking club. 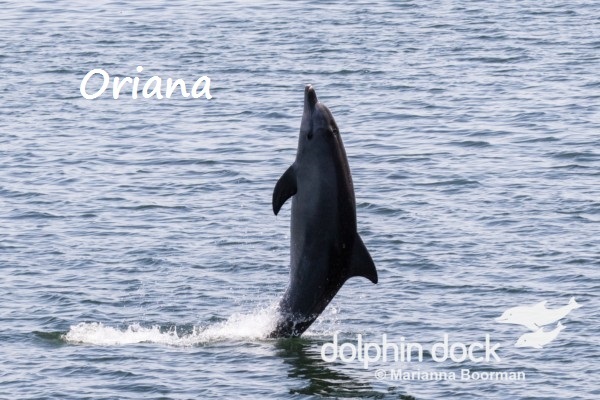 Oriana was first documented tail walking on the 16th January 2016. When she was first noticed tail walking she was too far away to identify. As Oriana came closer I was fortunate to capture a photo that identified her. 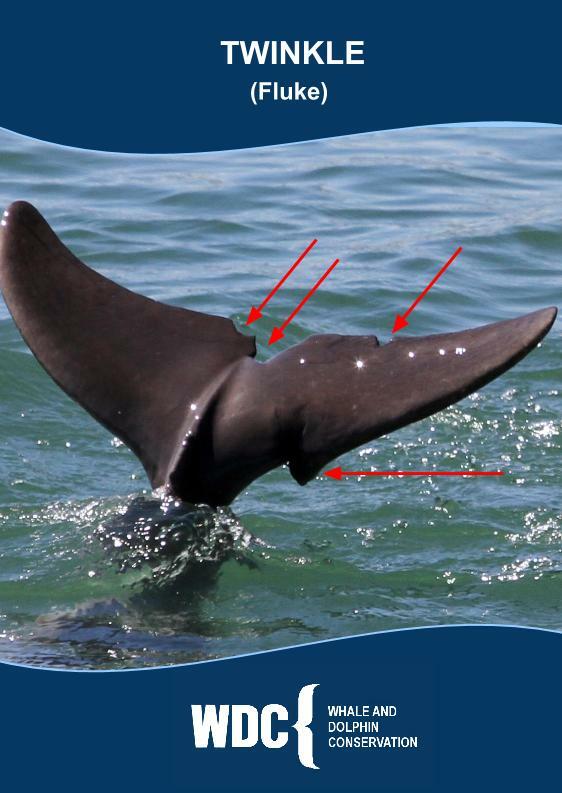 It was great to watch and very exciting to see that another one of our beautiful residents has mastered this spectacular skill. Her mum Bianca also tail walks but I believe Oriana learnt the technique from her good friend Wave. 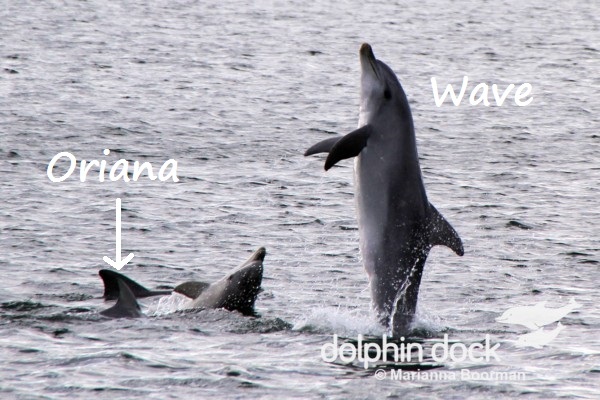 Oriana used to spend a large amount of time with Wave and was close by on several occasions when Wave was tail walking. 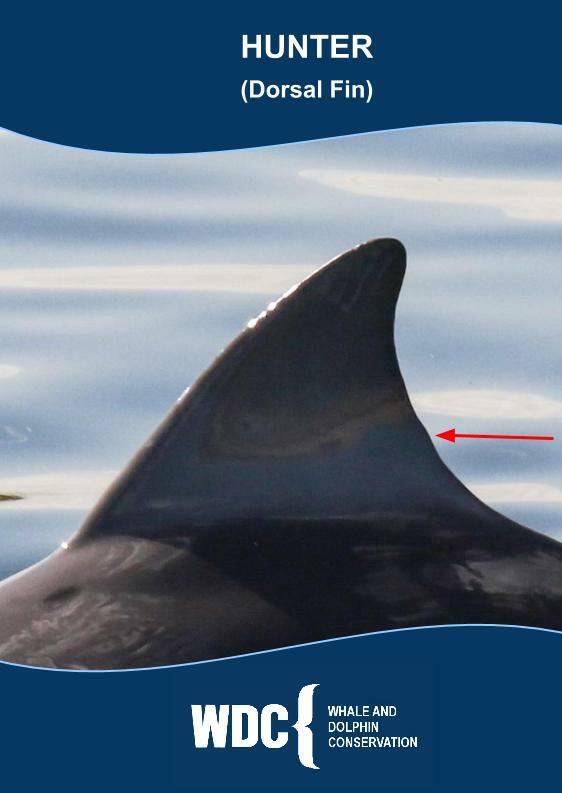 Oriana and other members of the pod observing Wave Tail Walk. 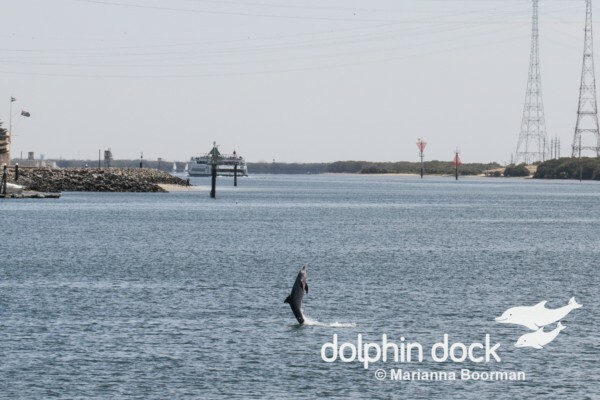 The Port River Dolphins unique tail walking behaviour started from an amazing dolphin named Billie. 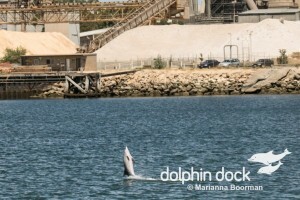 Billie spent a short time in Marine land (a small Marine Park near Glenelg) where she observed the captive dolphins tail walking. 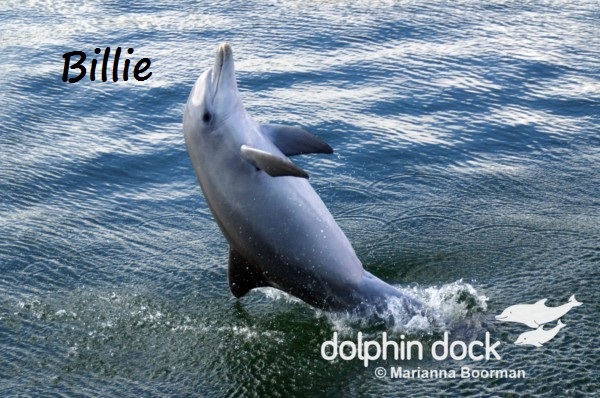 Billie was released back into the wild and made her way back to the Port River and it was there that Billie was first seen tail walking. 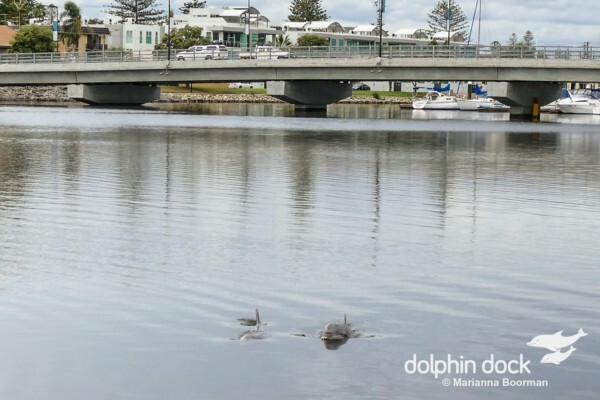 It was an incredible sight to see but what is even more remarkable is that many other wild Port River Dolphins have since learnt this behaviour. 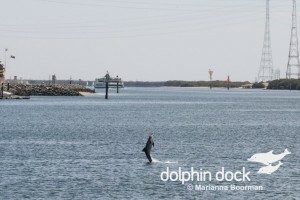 Oriana is now the 8th Port River Dolphin to have mastered tail walking. 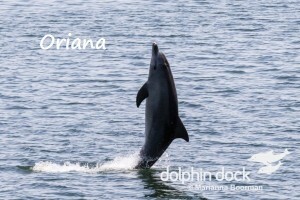 It was so exciting to see Oriana tail walking and to see that tail walking continues to live on in the Port River. 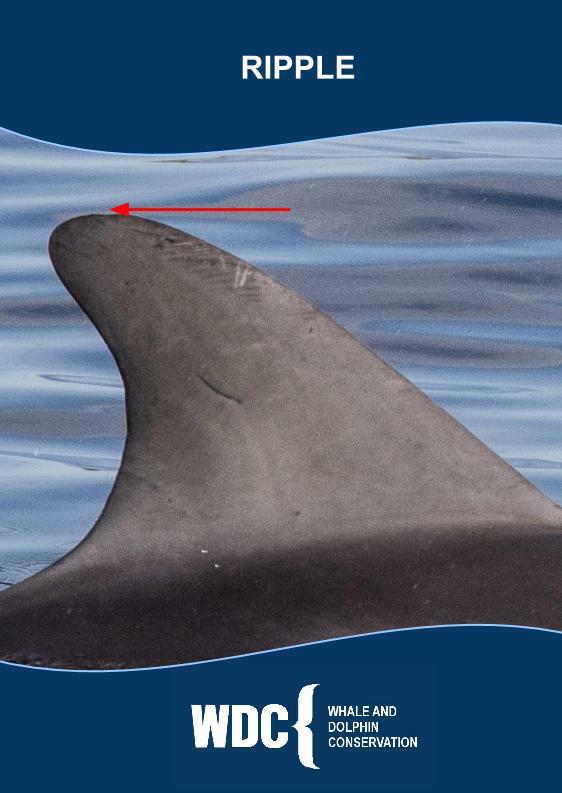 There are a couple of links to videos about the Port River Dolphin and the tail walking behaviour at the end of this Dolphin Diary. The other residents have also been active. 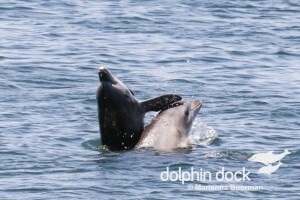 We have observed several of the resident dolphins fishing and playing between Dock 2 and the North arm. It has been great to watch. 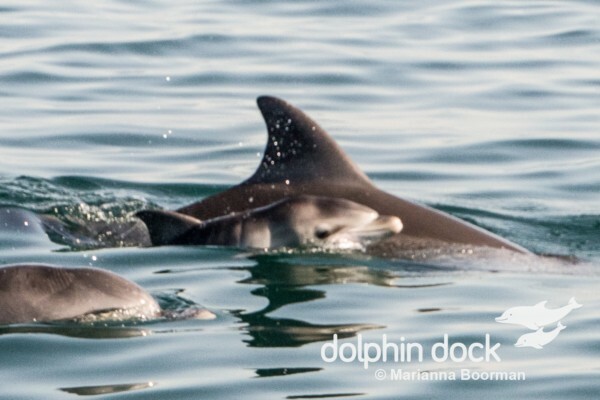 On Monday 18th January Dolphin Volunteer Barb Saberton sighted Lartelare in the Holdfast Bay Marina but did not see her calf June. June is only 7 months old and it is unusual for her to be so far away from her mum. We spent some time around the Glenelg area looking for June and were very pleased to eventually find them together back in the Pat. We are unsure if June had just ventured away from her mum or if June was in the Pat and Lartelare and June had been separated when the lock gates closed. We were very pleased that they are both looking well and that they are together again. While looking for Lartelare and June around the Glenelg area I was very surprised to see another one of the Port River residents, New Moon. We had not seen him this far away from the Port River before. Lartelare and June together in the Patawalonga. It was very exciting to see a new baby at Outer Harbor. 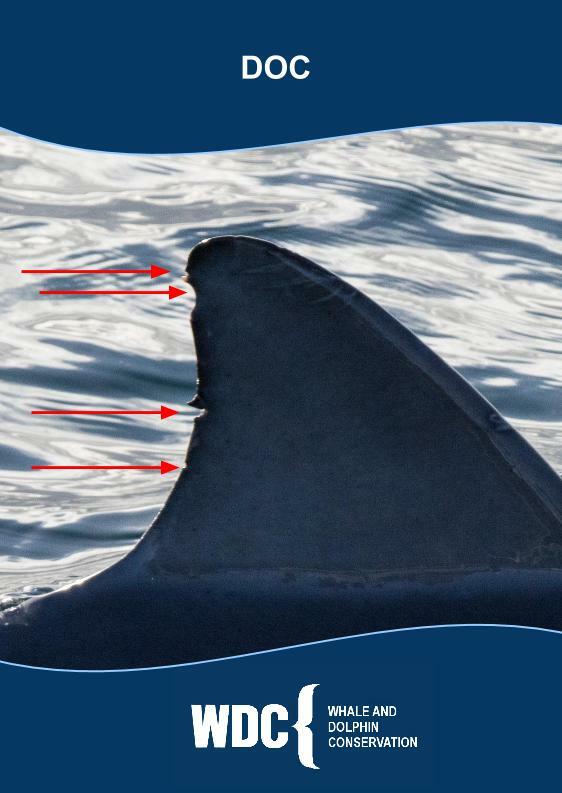 The Mother is a smooth fin and is not one of our residents. 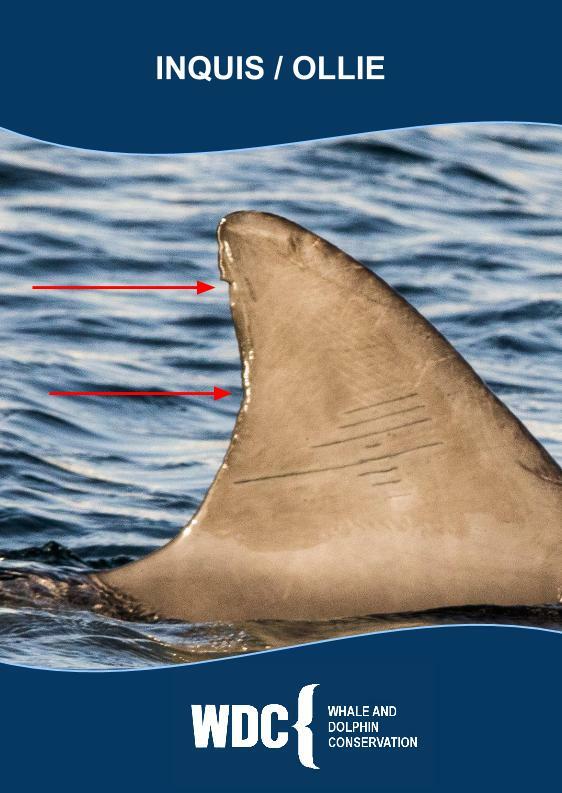 The young one appeared to be swimming very well and has now been seen near the Outer Harbor breakwater on a few occasions. 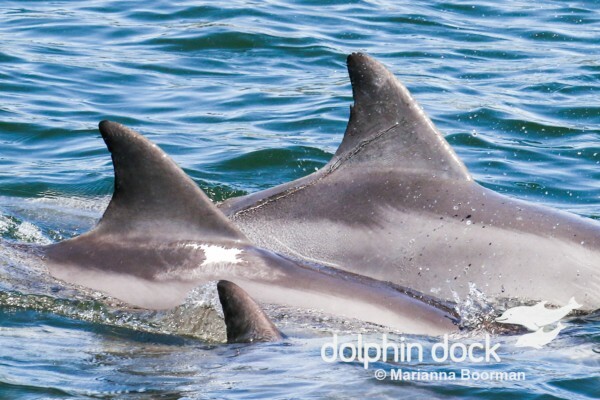 Hopefully one or two of our resident dolphins will also delight us with a new addition to the pod soon. 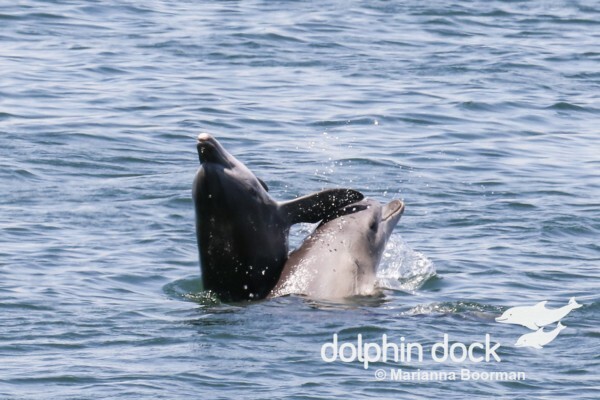 Some of the other Dolphins we have seen over the last month include Morgan, Zoom, Lunar, Crystal, Hope, Josh, Marianna, Ali, Ripple, Bianca, Doc, Tallula, Ryan, Sparkle, Star, Tiffany, Summer, Bubbles, Twinkle, Bella, Namor, Mouse, Hunter, Harmony and MJ. 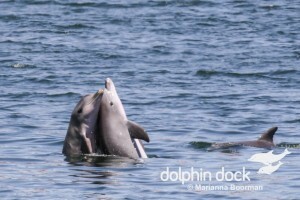 The Next Dolphin Diary will be at the beginning of March. Below are two videos about tail walking and how this amazing behaviour has spread through wild dolphins in the Port River, Adelaide South Australia. Loved reading your posting and the photos, Marianna, and really loved seeing the videos of “Tail walking” and “Billie”, especially the historical footage! Really great to see! Would be good to see it have a wider coverage! Lovely blog and photos Marianna. It would be great to know why they tail walk. I have often thought the behaviour is a way of expressing strong emotions such as happiness, excitement, frustration and sadness. 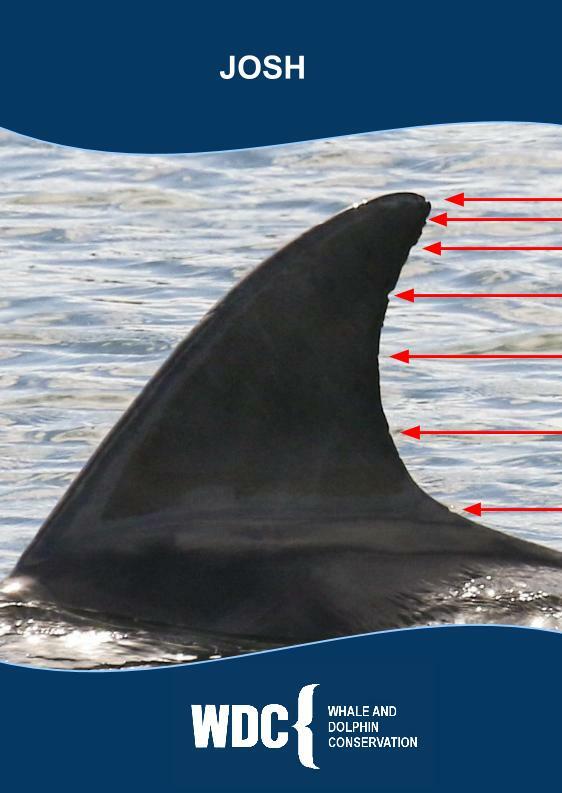 Over the years we have documented them tail walking when they are on their own or with their calf, when they are with a group, when male dolphins are in pursuit and wanting their attention and we have also observed Wave Tail Walking several times next to her deceased calf. 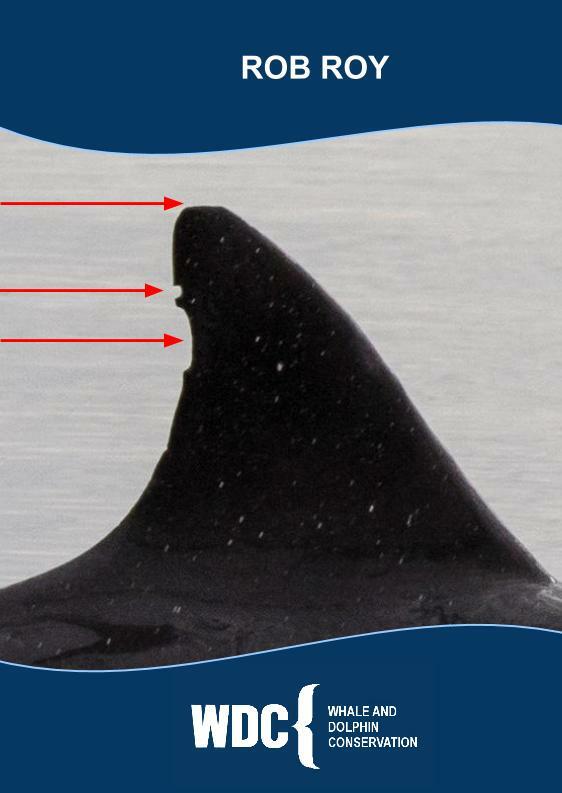 Wave in particular also appeared to often Tail Walk near birds or near people, almost as if to surprise them/us. 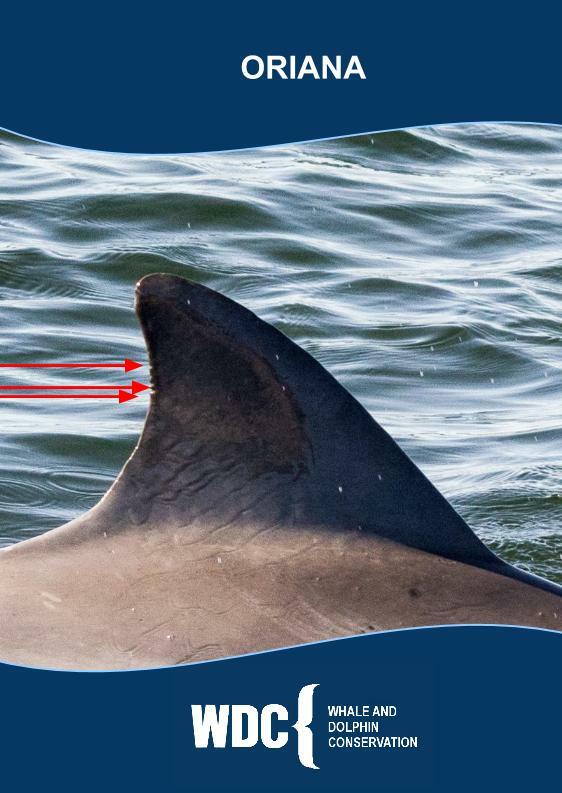 It will be interesting to observe how the culture continues to progress and which other dolphins will learn this behaviour.